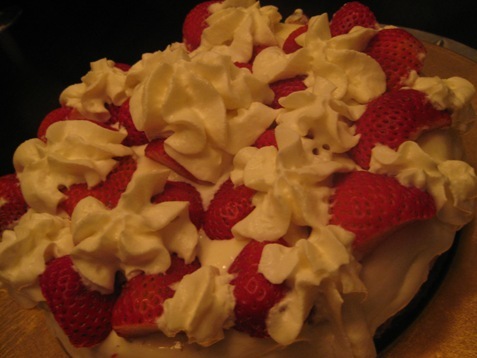 Whipped Cream Avalanche! Cheesecake in a Midwest Heatwave! I should have given this a bit more thought! I do not have air conditioning and we are in the middle of an incredible heatwave here in the midwest. The heat index was 106 degrees! yesterday. 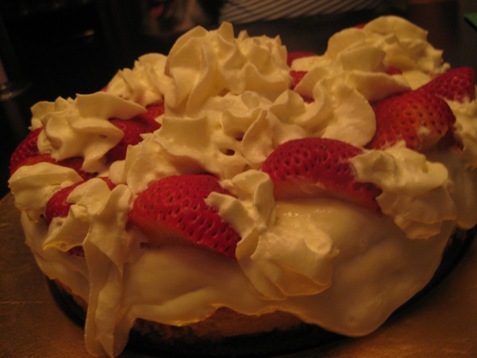 We were celebrating a birthday and this cheesecake with strawberries and whipped cream is a favorite. It did look great when I placed it on the table but by the time I picked up the camera it was sliding all over the place! That was about 15 seconds! One of the secrets to the greatness of this cheesecake is the crust. The butter toasted pecans make the crust amazing and every time I make this the only request is that next time I make more crust! 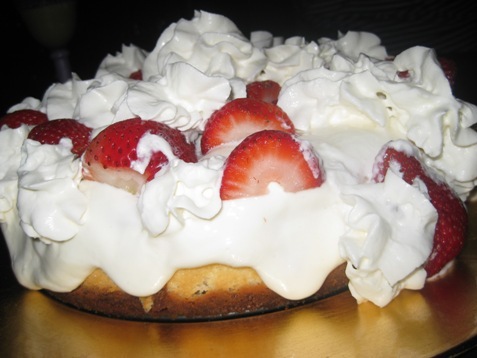 Whipped cream prepared or homemade; we used Redi-Whip, it’s a nostalgia thing! 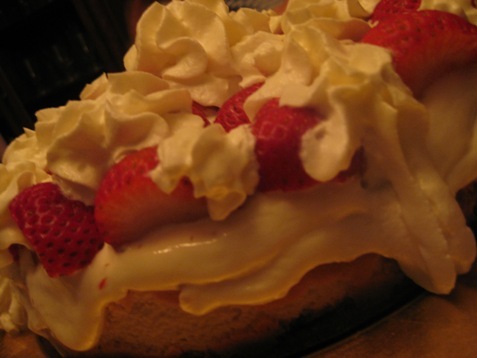 Don’t be shy with the whipped cream! Put love in it and Enjoy! Pumpkin Cheesecake! Pumpkins, Squash and Autumn Corn! The Flavors of the Season! “Easy Peasy” Chocolate Cream Pie with Perfect Pie Crust for Your Sweetie! White Chocolate Truffle Cheese Cake with Oreo Cookie Crust and Raspberry Sauce ! Coconut Lime Cheese Cake with Cashew and Graham Cracker Crust! Summer Indulgence!